This year we have over 80 people from more than 40 organizations (airline, academic and industry) joining us. Details are on the 56th Symposium Attendees page. Busses leave the hotel at 15:00. 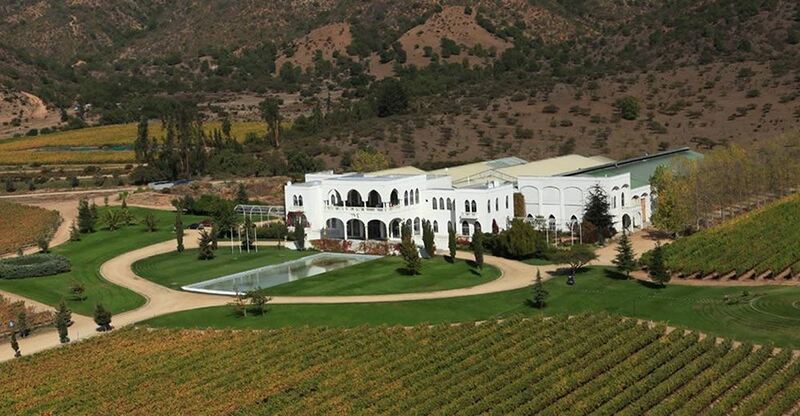 We are off to the majestic hills of Casablanca to visit the Viña Mar winery where we will tour the vineyards (planted with Sauvignon Blanc, Chardonnay, Pinot Noir, Merlot, Cabernet Franc and Carmenere) production rooms and wine cellars. After the tour we will have dinner at the winery. Busses leave the hotel at 18:30. The Gala Banquet will feature the announcement of the Anna Valicek Award winner and recognition of our two new Fellows. We will travel to Bali Hai restaurant for the awards ceremony, dinner and a show. Although voting for papers is over, we also still like you to provide feedback on the Symposium content, venue, organization, etc. by filling out our survey. The Anna Valicek Award recognizes original and innovative research in the application of operations research to airline and/or airline related business problems. The award honors the late Anna Valicek who served for many years as a member of the AGIFORS council. Please send your questions to the Symposium Technical Chair, Semi Gabteni at semi.gabteni@amadeus.com. Santiago, Chile’s capital and largest city, sits in a valley surrounded by the snow-capped Andes and the Chilean Coastal Range. Plaza de Armas, the grand heart of the city’s old colonial core, is home to 2 neoclassical landmarks: the early-19th-century Royal Court Palace, which houses the National History Museum, and the 18th-century Metropolitan Cathedral. Barrio Brasil and bohemian Barrio Bellavista offer lively nightlife. The metropolitan area has about seven million inhabitants. Nestled between sandy Pacific beaches and snow-capped Andes Mountains, The Ritz-Carlton, Santiago redefines personal service with a personal passion, making each stay in one of Chile’s top luxury hotels more memorable than the last. This sophisticated retreat in the heart of El Golf, one of Santiago’s most prestigious neighborhoods, delivers unforgettable experiences – like soothing spa services at the Santiago hotel’s rooftop Health and Fitness Center or exquisite dining at one of four distinctive restaurants – all complemented by impeccable service. Chile uses the Chilean peso: 1,000 Ch$ are about US $1.46/EU €1.29 (June 2016). As you are making your travel plans, please check the local weather. Current forecasts are calling for daytime highs in the low 20s°C (70s°F). Evenings are much cooler, so pack accordingly. 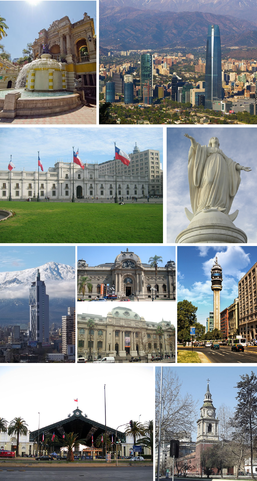 The average temperature in Santiago for October is a high of 22°C (72°F) and a low of 7°C (45°F). Casual dress is appropriate for the Wednesday afternoon/evening social event; please wear comfortable shoes. Current weather forecasts are for an overnight low of 7°C (45°F), so please bring a light jacket or sweater. Business formal (suit & tie) is requested for the Gala Dinner on Thursday night. Complimentary internet access is available to all guests booked within the group block. Please access by following the directions provided by the front desk.